Прекарал си незабравимо лято в страната на неограничените възможности? Пътувал си и си видял запомнящи се места? Изпрати ни най-впечатляващата снимка от твоето лято прекарано в САЩ по програма Work & Travel до 20 февруари 2019 г. 10-те най-добри снимки ще бъдат изложени на 26 февруари по време на събитието SWT Talks, където вдъхновяващи алумни участници в програма Work & Travel ще споделят историята на своя път към успеха. Авторите на трите най-добри кадри ще получат предметни награди. Изпрати ни своя най-красив спомен от САЩ, като добавиш три имена, година, в която си пътувал в САЩ по програма Work and Travel и откъде е кадъра на swtalumni@gmail.com! В конкурса може да участвате само с авторска снимка! 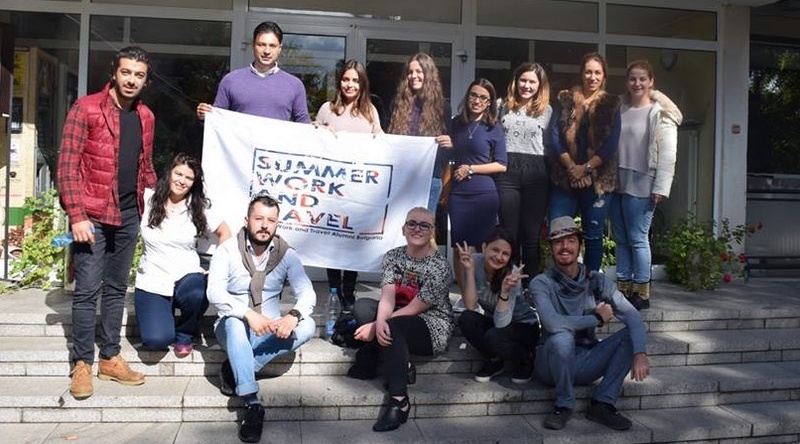 За трета поредна година Summer Work and Travel Alumni Association Bulgaria, с подкрепата на Посолство на САЩ в България, организира предприемачески академии за младежи, които са били на бригада в САЩ и имат идея да създадат собствен бизнес. Тази година за пръв път академиите ще се състоят извън София, в три града из страната – Варна, Велико Търново и Пловдив през ноември 2018. В рамките на един уикенд – от петък вечерта до неделя следобяд участниците във всеки от избраните градове ще преминат през обучение, което ще помогне да развият своята бизнес идея. – Не, академиите са безплатни за всички, които имат интерес и мотивация да стартират собствен бизнес или да стартират предприемаческо начинание – организация, социално предприятие и т.н. – попълни формуляра по-долу и ние ще се свържем с теб. 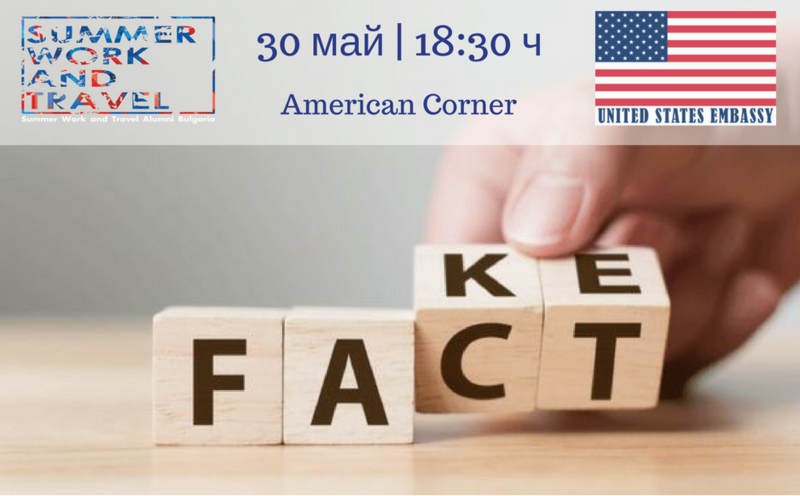 Summer Work & Travel Alumni Association, American-Bulgarian Alumni Association, with the support of the U.S. Embassy in Sofia are organizing a discussion focused on fake news and fact-checking on 30th of May 2018 at 6.30 p.m. at American Corner (Slaveykov Square 4a). Guests speakers of the event will be Kristina Baksanoca, journalist at BTV, Ralitsa Kovatcheva, PhD at Sofia University and Georgi Gavazov, CEO at Saatchi & Saatchi. Registration: https://bit.ly/2GhNLIc. 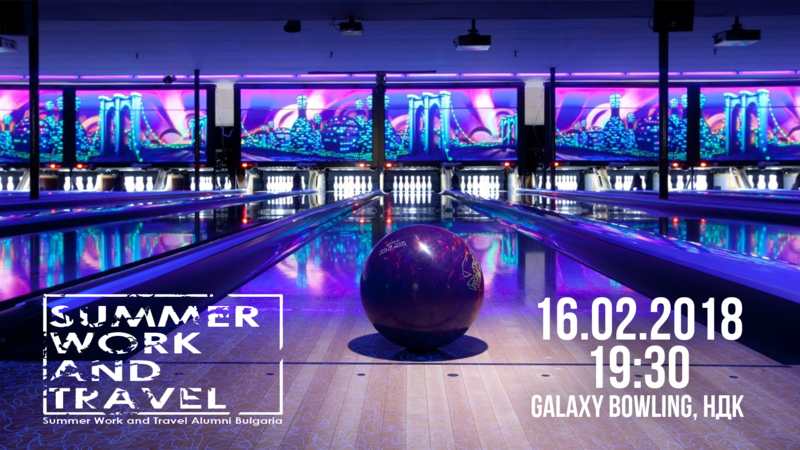 Summer Work and Travel Alumni Association invite you to its first gathering for 2018 – Bowling Tournament. Form a team of 5 alumni from the same year and join us at Galaxy Bowling. To confirm your attendance, please, register here: http://bit.ly/2ENqjSH. On November 28, 2017 the General Assembly of the SWTAA took place at American Corner, Sofia. Seven new board members were elected to serve the SWT community for the next 2 years. 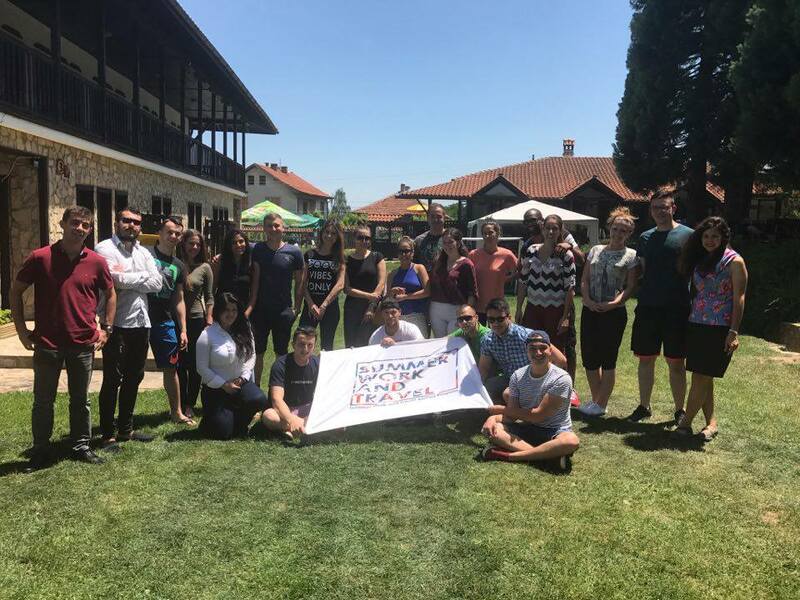 Summer Work and Travel Alumni Association gathered 30 Work and Travel Alumni from Bulgaria, Serbia and Macedonia for an intensive entrepreneurship training in Bulgaria. The discussion “Bulgaria through the feather and heart of America” was held on the 25th January in American Corner. 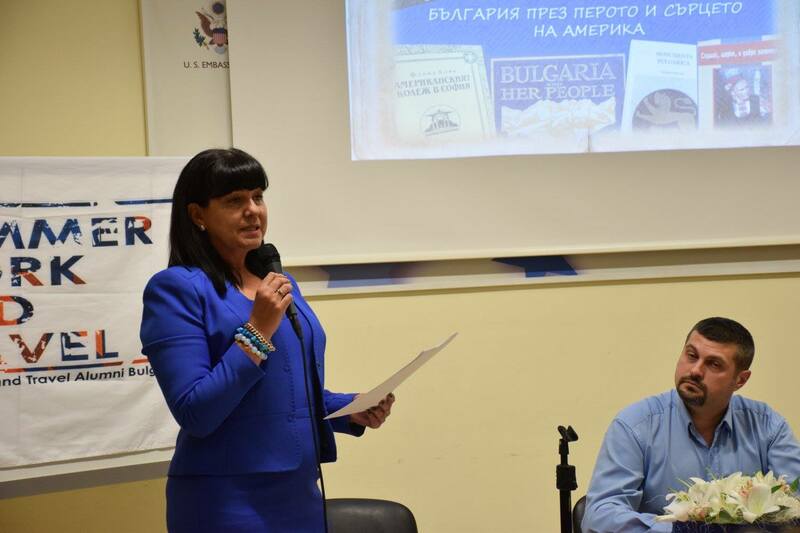 The event offer to the attendees insights into a different aspect of the relations between Bulgaria and USA, exploring their development, through the books with historical significance, written by the American authors, dating back to the beginning of 20th century to present days. The keynote speaker was Ms. Tatiana Kalkanova, an alumni Fulbrigh Bulgariat scholar and lecteurer at the American College of Sofia (1993-1994). During the event was discussed to the initiative and Bulgarian authors, that have written about America and stayed there. If you believe you are a leader; if you have an idea for a sustainable business, which inspires you, if you are determined to make it happen- you are the right person for the Summer Work and Travel Alumni Association Entrepreneurship Academy. To be an entrepreneur is a complex and responsible – you need to have knowledge and skills in the field of finance, management, marketing, PR, HR, law, accounting, etc. You also need offer people solutions with excellent presentation skills. All of these you can acquire at our academy with the help of interesting sessions with entrepreneurs, role games, teamwork and meetings with successful young people. 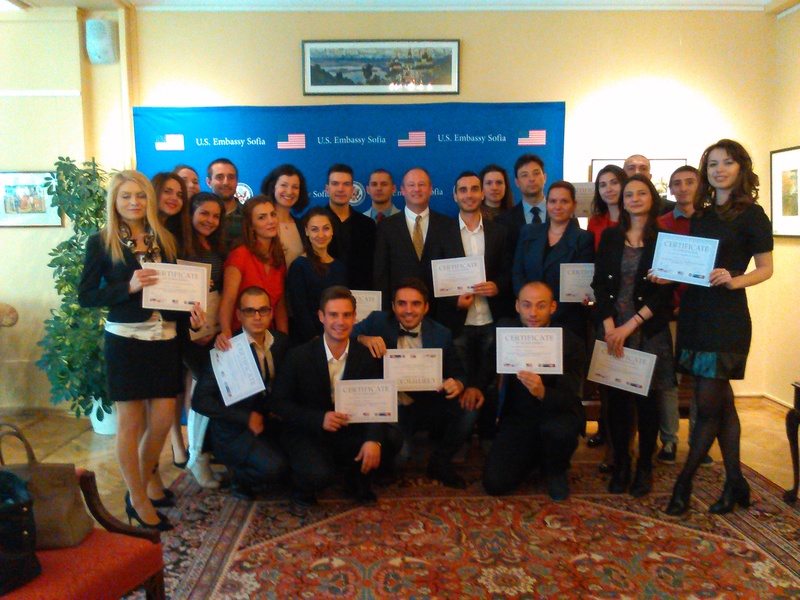 The aim of the academy, co-organized with the U.S .Embassy Sofia is to boost the entrepreneurship ecosystem and to inspire young people in Bulgaria by providing them with the necessary knowledge and platform for a jump start. This year will have 3 academies with duration of two and a half days in the Study Center of the National Revenue Agency. You can apply for the preferable period. The working languages are Bulgarian and English. To fill the online application form http://bit.ly/2iVi3Ii with a deadline the 3th of February 2017. The approved candidates will be notified via email by 10th of February. The participation in the Academy is FREE! The first in Bulgaria Work and Travel Fair where you can learn more about different states and regions, ways of financing, reimbursement of taxes, visa requirements and other useful information. The event is organized by Integral. Summer Work and Travel Alumni Bulgaria will take part in the fair. November 9th, 11-16 in Hotel Park Vitosha. 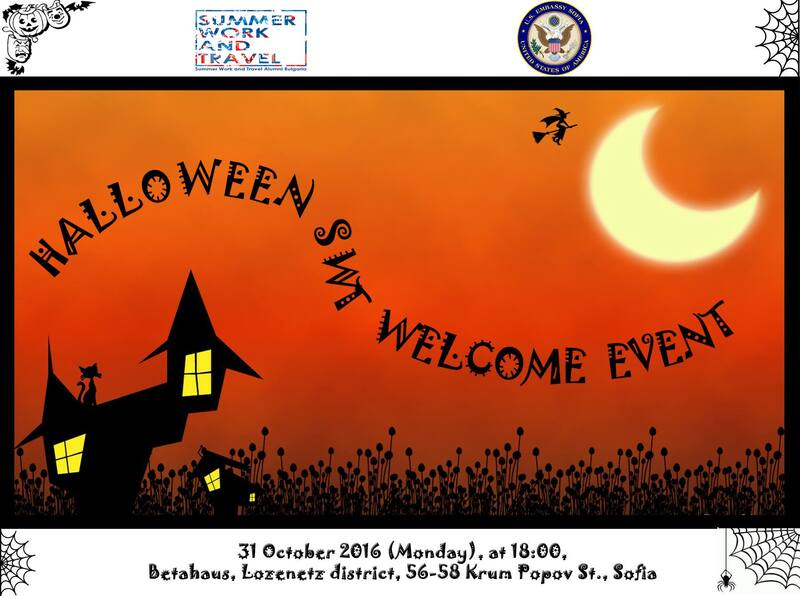 Summer Work&Travel Alumni Association Bulgaria is gathering the SWT community on a Halloween party! 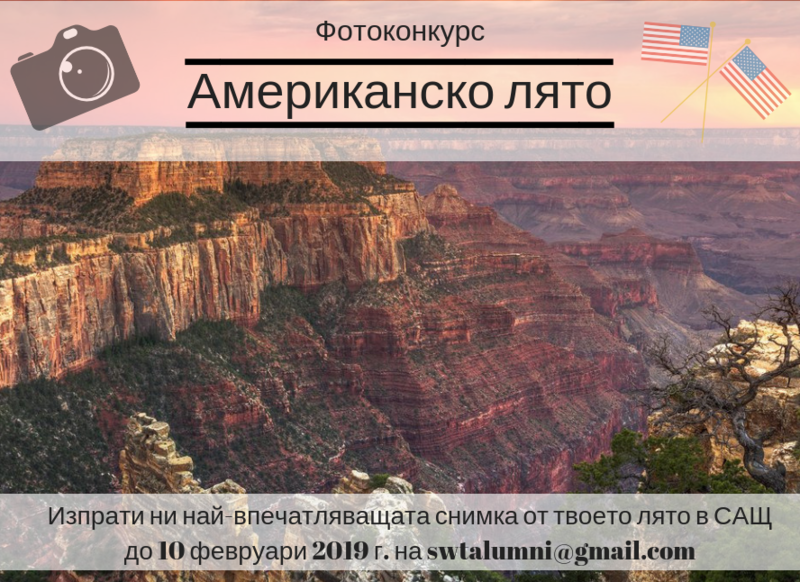 If you have participated in the U.S Summer work and Travel Programme, want to meet new people with the same experience, to exchange ideas and know-how for future projects, then you are more than welcome to our party. The US-Bulgarian Alumni Association invites to a public discussion on October 14th at 6p.m. at American Corner (4A Slaveykov Sq., Sofia), where experts, young people and representatives of NGOs will discuss the US Presidential elections. 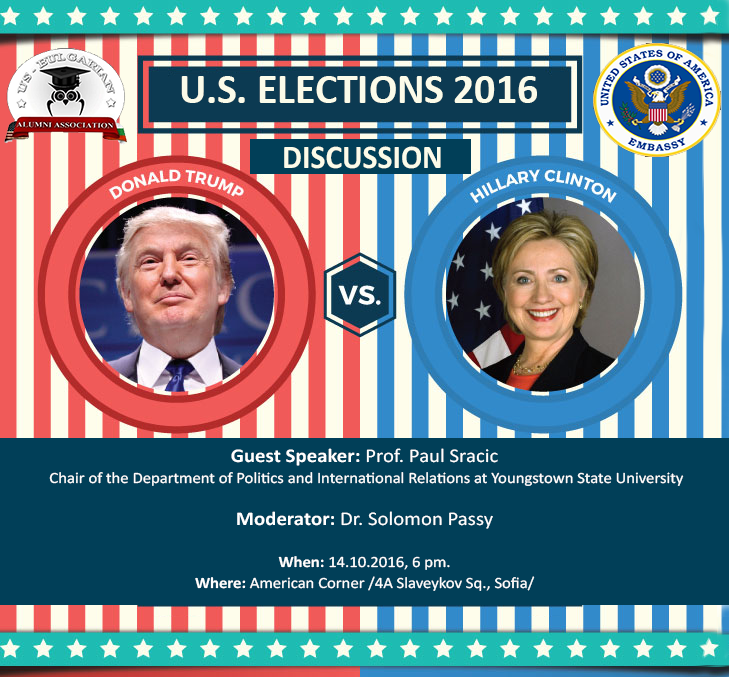 Guest Speaker will be Prof. Paul Sracic, chair of the Department of Politics and International Relations at Youngstown State University. English will be the working language of the discussion. 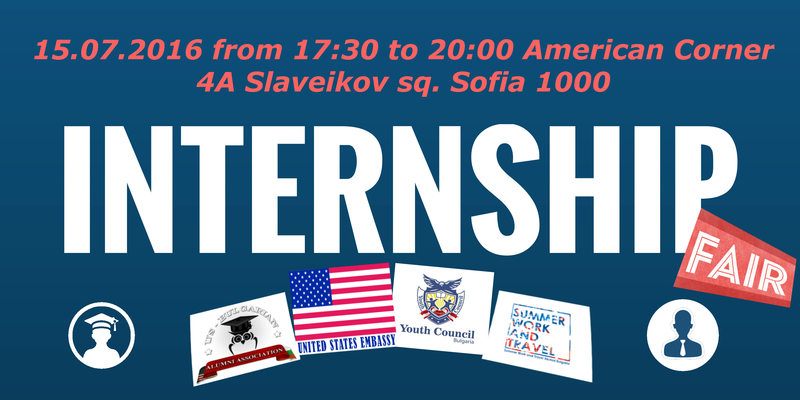 SWT Alumni Association and U.S.-Bulgarian Alumni Association invite you to an Internship Fair with Bulgarian companies on July 15, 2016. On April 26 the U.S. Ambassador to Bulgaria H.E. Eric Rubin awarded the SWT Entrepreneurship Academy Participants 2015-2016 with certificates for successfully completing the academy. 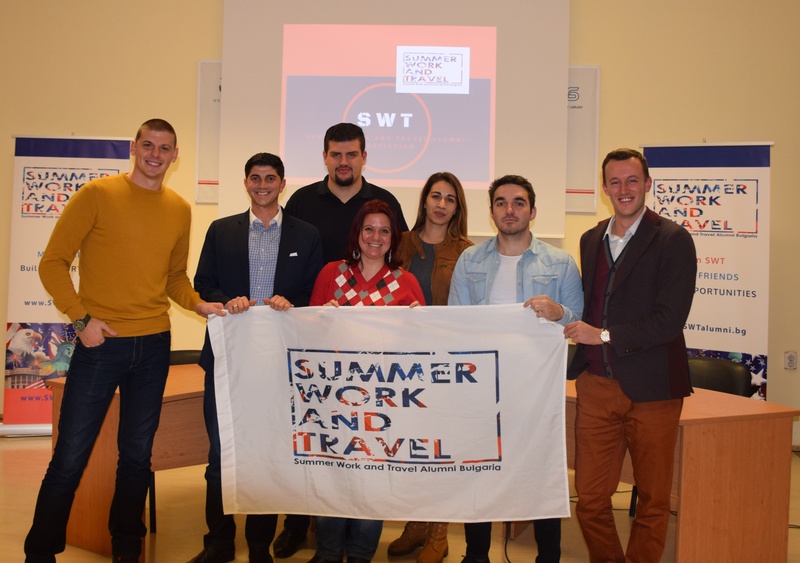 If you are a natural leader and you have your own idea of sustainable business, that inspires you and you aspire to bring it to life, regardless of the difficulties, if you are a team player and an adept motivator – then the Entrepreneurship Academy of the Summer Work and Travel (SWT) Alumni Association is the right initiative for you! Being a successful entrepreneur is one of the most challenging tasks, as it requires expertise in multiple spheres – finance and management, marketing and law. You need to be able to analyze, to seek opportunities and to attract like-minded parties with your excellent presentation skills. Such expertise is of key value to becoming a great entrepreneur. The SWT Entrepreneur Academy, which combines lectures of inspirational speakers and entrepreneurs, role play, teamwork and networking will give you a unique opportunity to develop and gain such skills. The primary goal of the Academy is to help and support the establishment of a conductive entrepreneurial environment for aspiring Bulgarian youth, and to offer a platform for acquiring and enriching the necessary knowledge for entrepreneurship. 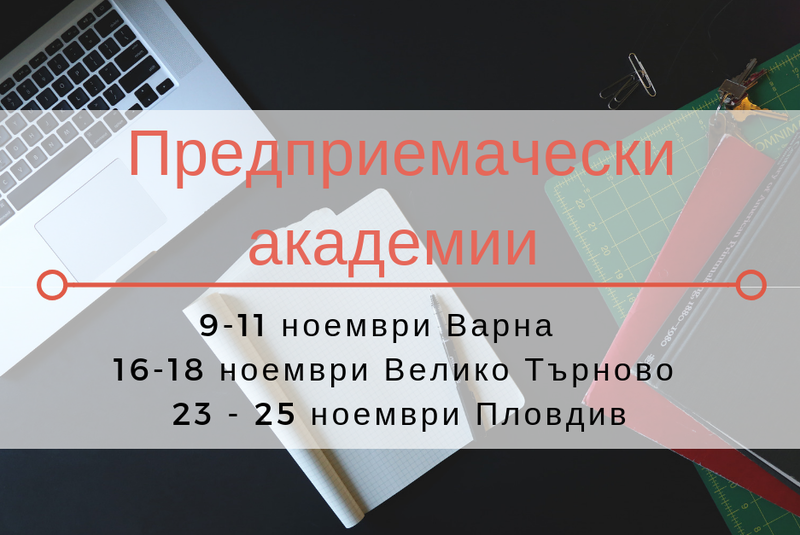 The Academy takes place over 5 weekends in the period November 2015 – March 2016 at the study center of the National Revenue Agency in Bankya, Bulgaria. The first part of the Academy will take place on 6-8 November 2015. Participation in the academy is FREE.